Incepted in year 2004, Indotech Industries (I) Pvt. Ltd, is known to be amongst the leading manufacturers, suppliers and exporters of a commendable and diverse range of Band Saw Machines, ever since its establishment in the year 2004. 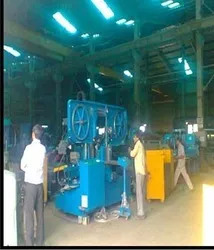 The offered range comprises of commendable products like Automatic Band Saw Machine, Double Column Semi Automatic Bandsaw Machine, Manual Double Column Band Saw Machine, having a high preference in the market. Manufacturing of these is commenced as per the industry set guidelines, utilizing the finest raw materials and modern machines. Owing to this, the offered products provide superior performance, have a commendable service life and are highly user friendly. In addition, the offered range of products is made available in the market at prices which are quite reasonable. We are exporting our products in Germany, Middle East, Russia, USA, African markets, South America and Spain. 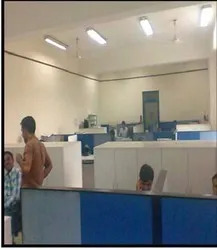 We have a highly devolved state-of-the-art infrastructural facility at Indotech Industries (I) Pvt. Ltd. In order to achieve a number of the firm’s goals and objectives, the facility has been laced with various necessary equipment and machinery. For reasons of attaining better and smoother management and operations, we have divided the facility into several highly operational units. These units led and directed by our team of highly experienced & skilled professionals, work unitedly and dedicatedly to maximize the firm’s productivity and improve the standards of quality for the products. In addition, our abidance of industry guidelines and work ethics has attracted reputed clients like Bharat Forge Limited, Kalyani Forge Ltd and Bay Forge Limited towards us. Our products are patronized across Asian and European markets. We are exporting our products in Germany, Middle East, Russia, USA, African markets, South America and Spain. Under the guidance of our proprietor, Mr. Rahul Modi & Mr. Vijay Kasat, we have achieved immense success in our years of existence. His ability to understand the market changes and make precise and commendable decisions, has helped us to gain a remarkable position in the market. Further, for providing maximum employee satisfaction, regular vacations, appraisals and rewards are offered to them. Quality to us is something of high importance. 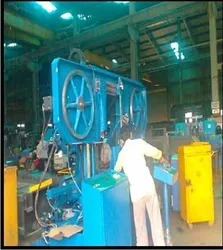 Thus, we engage in using the finest raw materials and modern machines in the manufacturing process, in compliance with the industry set norms and guidelines. Owing to this, the offered products have a longer functional life and offer commendable functionality. Post production, the products are sent to our team of highly skilled professionals. They with high efficiency and precision, scrutinize and eliminate all manufacturing defects. At Indotech Industries (I) Pvt. Ltd., our team of highly responsible, dedicated, skilled and experienced employees, helps us in achieving a number of the firm’s goals and objectives. For the purpose of finer and smoother management of this team, it has been sorted into a number of units. The division is done taking in consideration the employees’ areas of expertise. Further, appraisals, special trainings and vacations are provided to deserving employees in a regular manner, for providing a friendly work environment. We are considered to be one of the leading manufacturers and suppliers of this commendable range of Band Saw Machines in the market. Manufacturing of these is done as per the set industry norms and guidelines, utilizing the finest raw materials and modern machines. Owing to this, the products have a commendable functionality and a superior service life. Post manufacturing, the products are sent for a number of quality checks, for quality standardization. In addition, this product priced reasonably, is packed protectively and is delivered in a timely manner.